The wisteria is in bloom, the azaleas are popping, and longer stretches of sunlight make post-work sunset boat cruises a must. Yep, it’s official: spring is upon us! A few weeks ago, we highlighted the February and March events we were most excited to attend. Now we’re looking forward to April and May, which hold some of Charleston’s most highly anticipated festivities. 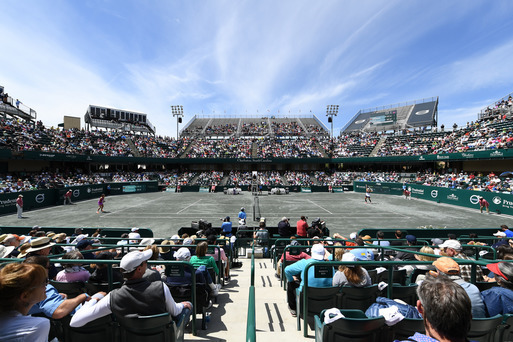 From a scenic 10K to a two-day music festival to the famed Spoleto Festival USA, there’s something for everyone in the coming weeks. Add to that the standard perks of life in the Lowcountry this time of year—like the Charleston Farmers Market Saturday mornings in Marion Square, temps warm enough for beach trips, and the scent of jasmine in the air—and it’s never been a better time to visit or to play a tourist in your own town. Here’s what on our calendar for the coming weeks. Which events do you plan to attend? 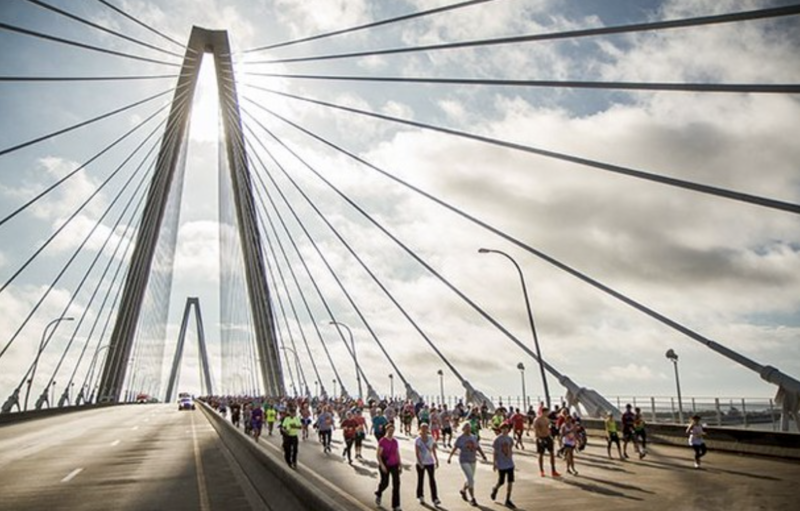 Cooper River Bridge Run // April 6 Each spring, Charleston hosts the third-largest 10K in the country. We’d bet it’s one of—if not the—most scenic, as well. Runners start the 6.2-mile race on Coleman Boulevard in Mount Pleasant, summit the architectural beauty that is the Arthur Ravenel Jr. Bridge, traverse down King Street (where mimosa-happy brunch-goers often offer up slices of bacon—ha! ), and finish up in Marion Square. Post-race, downtown Charleston’s awash with bib-clad partiers celebrating the fact that they “got over it.” Work hard, play hard, folks! High Water // April 13-14 Now in its third year, High Water Festival—founded and curated by the beloved local folk duo Shovels & Rope—is a premier music event on the East Coast. The two-day outdoor festival, which takes place at the North Charleston Riverfront Park overlooking the Cooper River, offers up local eats and craft beer, along with, of course, world-class live music. This year’s lineup stars Leon Bridges and Lord Huron on Saturday, The Heart and The Heart and Shovels & Rope on Sunday, along with many, many more. 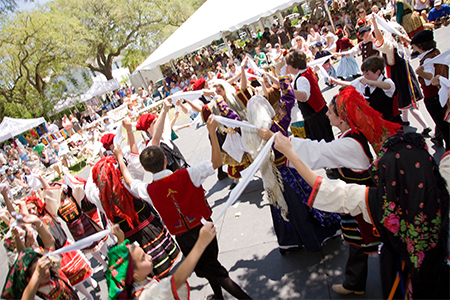 49th Annual Charleston Greek Festival // May 10-12 While the Bridge Run, High Water, and Spoleto (see below) bring in visitors aplenty, the annual Greek Fest is a family-friendly favorite among locals. Held at the Holy Trinity Greek Orthodox Church, the three-day event offers up delicious Greek fare, wine tasting, live music, and tons of dancing (opa!). Before or after you take part in the festivities, go for a stroll in Hampton Park, which is just a few blocks north of the party’s Race Street location. Spoleto Festival USA // May 24-June 9 And finally: the grand finale and crown jewel of Charleston’s “festival season” is Spoleto Festival USA—a 17-day (and night) music and arts event that brings artists and art-lovers from around the world to Charleston’s historic theaters, churches, and outdoor venues for opera, jazz, dance, theater, visual arts, and more. 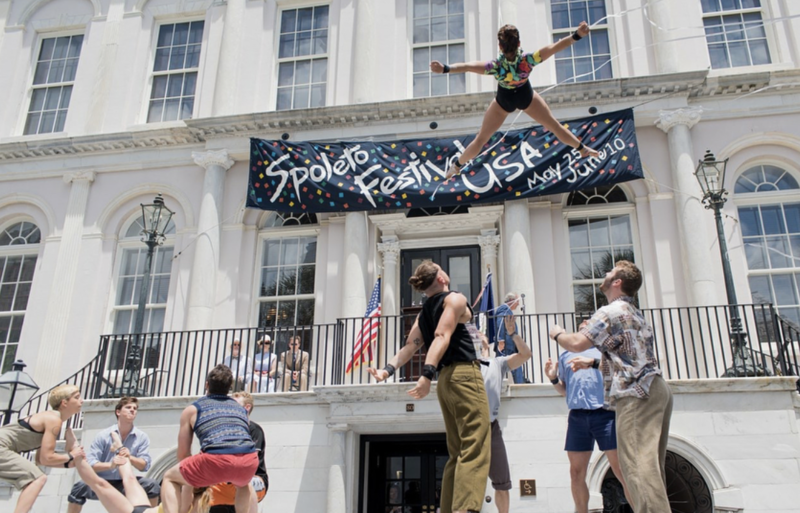 Now in its 43rd season, Spoleto is recognized globally as one of America’s top music and arts festivals for both the quality of the talent that performs, and the richness of the setting in which they perform. 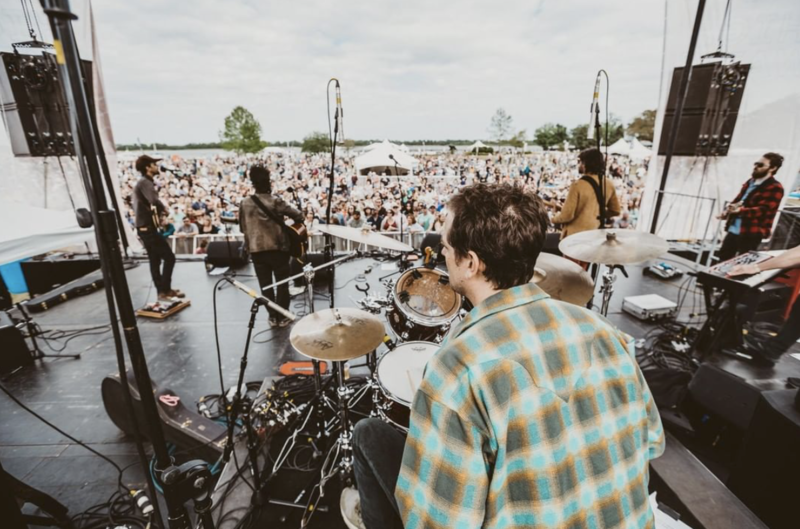 We’re still deciding which shows we’re attending this year, but we know for sure we’ll be packing up our picnic baskets and heading to the Wells Fargo Festival Finale, featuring Curtis Harding at the North Charleston Riverfront Park. We hope to see you there!